"1. That the Holy Spirit doth make use of it in the regeneration or conversion of all that are adult, and that either immediately in and by the preaching of it, or by some other application of light and truth unto the mind derived from the word; for by the reasons, motives, and persuasive arguments which the word affords are our minds affected, and our souls wrought upon in our conversion unto God, whence it becomes our reasonable obedience. And there are none ordinarily converted, but they are able to give some account by what considerations they were prevailed on thereunto. But— 2. We say that the whole work, or the whole of the work of the Holy Ghost in our conversion, doth not consist herein; but there is a real physical work, whereby he infuseth a gracious principle of spiritual life into all that are effectually converted and really regenerated, and without which there is no deliverance from the state of sin and death which we have described. . . ."
"If the Holy Spirit works no otherwise on men, in their regeneration or conversion, but by proposing unto them and urging upon them reasons, arguments, and motives to that purpose, then after his whole work, and notwithstanding it, the will of man remains absolutely indifferent whether it will admit of them or no, or whether it will convert itself unto God upon them or no; for the whole of this work consists in proposing objects unto the will, with respect whereunto it is left undetermined whether it will choose and close with them or no." "[M]oral persuasion, however advanced or improved, and supposed to be effectual, yet confers no new real supernatural strength unto the soul; for whereas it worketh, yea, the Spirit or grace of God therein and thereby, by reasons, motives, arguments, and objective considerations, and no otherwise, it is able only to excite and draw out the strength which we have, delivering the mind and affections from prejudices and other moral impediments. Real aid, and internal spiritual strength, neither are nor can be conferred thereby. And he who will acknowledge that there is any such internal spiritual strength communicated unto us must also acknowledge that there is another work of the Spirit of God in us and upon us than can be effected by these persuasions." "The most effectual persuasions cannot prevail with such [unregenerate] men to convert themselves, any more than arguments can prevail with a blind man to see, or with a dead man to rise from the grave, or with a lame man to walk steadily." "[Regeneration] consists in a new, spiritual, supernatural, vital principle or habit of grace, infused into the soul, the mind, will, and affections, by the power of the Holy Spirit, disposing and enabling them in whom it is unto spiritual, supernatural, vital acts of faith and obedience." --The Works of John Owen, ed. William H. Goold, reprint (London: Banner of Truth Trust, 1966), 3:307-329. "The word regeneration signifies the same thing with conversion, but with this small difference. 1st. The term is metaphorical, taken from our natural generation; because there is so great a change, that a man is as it were another man. 2d. The word is, in scripture sense, I think more comprehensive than conversion, repentance or vocation; for it signifies not only the newness of our qualities, but also of our relations, even our whole new state." "The second part of the work of conversion is upon the heart or will, to which this change of the mind or understanding is preparative: and in this change of the heart, there are these several parts observable. (1.) The will is brought to like what it disliked, and to dislike what it liked before. (2.) It is brought to choose what it refused; and to consent to that which it would not consent to. (3.) It is brought to resolve, where it was either resolved on the contrary; or unresolved. (4.) The several affections are changed, of love and hatred; desire and aversion; delight and sorrow; hope and despair; courage and fear; and anger with content and discontent. "1. 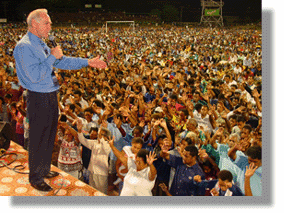 The first change that God maketh on the heart or will in the work of conversion . . . is in the complacency or displacency of it: he causeth that to savour or relish as sweet to the will, which before was as bitter: the soul receiveth a new inclination; it liketh that which before it disliked, not only by a mere approbation, but by a willing agreement of the heart therewith. . . . Before conversion the very bent of man’s mind is toward the things below, and his heart is against the things of God: he relisheth the things below as sweet: and it pleaseth him to possess them, or to think of possessing them, but he hath no pleasure in God, nor in thinking or hearing of the life to come: all things please or displease a man, according as they agree or disagree to his inclination; and as they seem to him either suitable or unsuitable. "Yet a wonderful change is made on them: they that had no savour of God and glory before, do now savour nothing else so much; they can truly say, as David, though perhaps not so feelingly as he, ‘Whom have I in heaven but thee, and there is none on earth that I can desire besides thee?'" --“A Treatise on Conversion,” in The Practical Works of Richard Baxter: Select Treatises (Grand Rapids: Baker, 1981), 291-297. I don't think I've ever laughed so hard at the beginning remarks of a chapel service as at this one (Oct 24) by C.J. Mahaney at Southern Baptist Seminary this past week. He spoke three times (the one on leadership is a Q & A). "When we are drawn to duties out of wrong motives or fear or custom, and not from a new nature, this is not from the Spirit, and their performance is not from the true liberty of the Spirit. For under the liberty of the Spirit, actions come off naturally, not forced by fear or hope or any extra motives. A child does not need other motives to please his father. When he knows he is the child of a loving father, it is natural. So there is a new nature in those who have the Spirit of God to stir them up to duty, though God’s motives of sweet encouragement and rewards may help. But the principal is to do things naturally, not out of fear or to appease other people. "Consider, then, the necessity of a change in the inward man, of the powers of the soul. . . . And the change is especially in the will, which some would say is not touched. They would say the will is free and would give grace no more credit than necessary. But grace works upon the will most of all. For the bent and desires of the will carry the whole man with it. If the choice, and bent, and bias are the right way, by the Spirit, it is good. If the will is not inclined and formed to go the best way, there is no work of grace at all. Though all grace first comes in through the understanding being enlightened, it then goes into the will. That is, it passes through the understanding into the will, and it puts a new taste and relish upon the will and affections. You see, then, that the grace in the gospel is not mere persuasion and entreaty, but a powerful work of the Spirit entering into the soul and changing it, and altering the inclination of the will heavenward." --Glorious Freedom (Edinburgh: Banner of Truth Trust, 2000), 55-56, 105-106. The JE Blog raises an interesting observation about JE's use of questions in his sermons. "As the intellect is moved by the object and by the Giver of the power of intelligence . . . so is the will moved by its object, which is good, and by Him who creates the power of willing. Now the will can be moved by good as its object, but by God alone sufficiently and efficaciously. . . .
"A thing moved by another is forced if moved against its natural inclination; but if it is moved by another giving to it the proper natural inclination, it is not forced; as when a heavy body is made to move downwards by that which produced it, then it is not forced. In like manner God, while moving the will, does not force it, because He gives the will its own natural inclination. . . .
"Rectitude of the will is necessary for Happiness . . . final Happiness consists in the vision of the Divine Essence, which is the very essence of goodness. So that the will of him who sees the Essence of God, of necessity, loves, whatever he loves, in subordination to God; just as the will of him who sees not God’s Essence, of necessity, loves whatever he loves, under that common notion of good which he knows. And this is precisely what makes the will right. Wherefore it is evident that Happiness cannot be without a right will. . . .
"God is the last end, as that which is ultimately sought for: while the enjoyment is as the attainment of this last end. And so, just as God is not one end, and the enjoyment of God, another: so it is the same enjoyment whereby we enjoy God, and whereby we enjoy our enjoyment of God. And the same applies to created happiness which consists in enjoyment." "Just as it is through the virtue of faith that a man partakes of the divine knowledge by means of the power of his intellect, and through the virtue of charity that he partakes of the divine love by means of the power of his will, so it is through regeneration or recreation of his soul’s nature that he partakes of the divine nature by way of a certain likeness." --A. M. Fairweather, ed. and trans., Nature and Grace: Selections from the Summa Theologica of Thomas Aquinas, 163. "Lest one regard Thomas as a coldly intellectual theologian, devoid of godly passion, consider the story told of him by one young man. During his final years at Naples, Thomas was working on the conclusion of the Summa (which he never concluded!). A young man entered the room to find Thomas deep in prayer, allegedly floating above the ground (!). A voice was heard coming from the crucifix which Thomas held in hand: 'Thomas, you have written well of me. What reward can I give you for all your labours?' To which Thomas replied: 'Nothing, Lord. Nothing, but You.' Some time later, on Dec. 6th, 1273, he had an experience during Mass that so profoundly affected him that he wrote nothing more. When urged by his friends to complete the Summa, he replied: 'I cannot, for compared with what I have seen and what has been revealed to me [evidently, during the Mass], everything I have written seems like straw.'" "If that commandment is observed out of fear of punishment, not out of the love of righteousness, it is observed in the manner of a slave, not in the manner of someone free, and for that reason it is not observed. For there is lacking the good fruit that springs up from the root of love. But if faith that works through love is present (Gal 5:6), one begins to find delight in the law of God in the interior human being. This delight is a gift, not of the letter, but of the Spirit. . . ."
"The Lord is the Spirit, but where the Spirit of the Lord is, there is freedom (2 Cor 3:17). This is the Spirit of God by whose gift we are justified; by his gift there comes to be in us a delight in not sinning so that we have freedom. So too, without this Spirit we find delight in sinning so that we are enslaved. "Are we then doing away with free choice through grace? Heaven forbid! Rather, we make free choice stronger. . . . through faith we obtain grace to struggle against sin; through grace the soul is healed from the wound of sin; through the good health of the soul we have freedom of choice; through free choice we have the love of righteousness; through the love of righteousness we fulfill the law. The law is not done away with, but strengthened by faith, because faith obtains the grace by which we fulfill the law. In the same way, free choice is not done away with by grace, but strengthened, because grace heals the will by which we freely love righteousness." 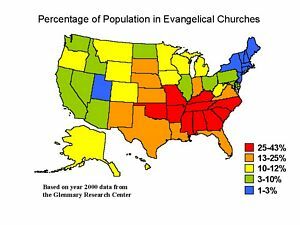 New England Theological Seminary gives a telling chart of the relative number of evangelical churchgoers per capita in the USA. I spent a year in Connecticut and can testify to the spiritual coldness that pervades the area. When I visited Northampton (Mass. ), for example, where Edwards lived and ministered, I was told the town now has one of the highest populations of homosexuals in the country. Pray with me for a third Awakening in the land which needs it most. A statement from the French reformer as I continue to comb history's best thinkers on what motivates Christians to obey. Interesting - both Calvin and Turretin (below) draw on Augustine. "God’s grace, as this word is understood in discussing regeneration, is the rule of the Spirit to direct and regulate man’s will. The Spirit cannot regulate without correcting, without reforming, without renewing. For this reason we say that the beginning of our regeneration is to wipe out what is ours. Likewise, he cannot carry out these functions without moving, acting, impelling, bearing, keeping. Hence we are right in saying that all the actions that arise from grace are wholly his. Meanwhile, we do not deny that what Augustine teaches is very true: ‘Grace does not destroy the will but rather restores it.’ The two ideas are in substantial agreement: the will of man is said to be restored when, with its corruption and depravity corrected, it is directed to the true rule of righteousness. At the same time a new will is said to be created in man, because the natural will has become so vitiated and corrupted that he considers it necessary to put a new nature within." In the coming days I'll be listing some statements from well-known theologians on Christian motivation and where it comes from. "The Spirit in our conversion operates both powerfully and sweetly, pleasingly and invincibly. It pertains to a physical mode that God by his Spirit creates, regenerates, gives us a heart of flesh and infuses into us efficiently the supernatural habits of faith and love. It pertains to a moral mode in that it teaches, inclines, persuades and draws to itself by various reasons as if by the chains of love. Hence Augustine is accustomed everywhere to express it by the phrase 'delightful conqueror' who has conjoined with the highest pleasantness and sweetness, the greatest efficacy and power which expels all the obstinacy of the heart. Thus neither that strength nor efficacy compels the man unwillingly, nor sweetly moves him now running spontaneously; but each joined together both strengthens the weakness of man and overcomes the hatred of sin. It is powerful that it may not be frustrated; sweet that it may not be forced. Its power is supreme and inexpugnable that the corruption of nature may be conquered, as well as the highest impotence of acting well and the necessity of doing evil. Yet still it is friendly and agreeable, such as becomes an intelligent and rational nature . . .
"[U]nless that grace by which we are converted were furnished with the highest power, sin (which has struck its roots so deeply in us) could not be overcome and rooted out. Unless the same would yield fruit of the sweetest joy so that the most loathsome delight of sin might be overcome by the opposite pleasure, the man would be drawn not voluntarily, but unwillingly and in a manner little suited to his nature. ". . . there is always need for a twofold grace in the conversion of man: the one objective and extrinsic, consisting in the proposition of the object; the other subjective, acting immediately upon the faculty to render it capable of receiving the object, not only that it may be able rightly to elicit its own acts in reference to it, but also to elicit them actually. Each depends upon the Holy Spirit working in two ways – both in the word and in the heart; in the word as the objective cause; in the heart as the efficient cause of faith. In the word, acting morally by the revelation of the object and suasion; in the heart, working efficaciously and hyperphysically by an infusion of good habits, the creation of a new heart and the powerful impression of the proposed object." --Institutes of Elenctic Theology, 2:522-525. It is now possible to search the entire corpus of the Works of Jonathan Edwards online. This is thanks to Yale University. You have to create an account, but it's free. This is all especially helpful in light of the price of the 24 printed copies. As you punch in words, you get a link to the piece in which it is found, including the year it was written and the total number of words in that piece--whether it's short (a miscellany), medium (a sermon), or long (a treatise). 47 matching documents on "regeneration" just about made my blood boil. You can also search by Scripture text, which is especially valuable (particularly for preachers) since almost no JE works have included Scripture indeces. C. S. Lewis writes a very short essay called "Three Kinds of Men" in a collection of essays entitled Present Concerns. There are three kinds of people in the world. The first class is of those who live simply for their own sake and pleasure, regarding Man and Nature as so much raw material to be cut up into whatever shape may serve them. In the second class are those who acknowledge some other claim upon them – the will of God, the categorical imperative, or the good of society – and honestly try to pursue their own interests no further than this claim will allow. They try to surrender to the higher claim as much as it demands, like men paying a tax, but hope, like other taxpayers, that what is left over will be enough for them to live on. Their life is divided, like a soldier's or a schoolboy’s life, into time “on parade” and “off parade”, “in school” and “out of school”. But the third class is of those who can say like St Paul that for them “to live is Christ”. These people have got rid of the tiresome business of adjusting the rival claims of Self and God by the simple expedient of rejecting the claims of Self altogether. The old egoistic will has been turned round, reconditioned, and made into a new thing. The will of Christ no longer limits theirs; it is theirs. All their time, in belonging to Him, belongs also to them, for they are His. And because there are three classes, any merely twofold division of the world into good and bad is disastrous. It overlooks the fact that the members of the second class (to which most of us belong) are always and necessarily unhappy. The tax which moral conscience levies on our desires does not in fact leave us enough to live on. As long as we are in this class we must either feel guilt because we have not paid the tax or penury because we have. The Christian doctrine that there is no “salvation” by works done to the moral law is a fact of daily experience. Back or on we must go. But there is no going on simply by our own efforts. If the new Self, the new Will, does not come at His own good pleasure to be born in us, we cannot produce Him synthetically. The price of Christ is something, in a way, much easier than moral effort – it is to want Him. It is true that the wanting itself would be beyond our power but for one fact. The world is so built that, to help us desert our own satisfactions, they desert us. War and trouble and finally old age take from us one by one all those things that the natural Self hoped for at its setting out. Begging is our only wisdom, and want in the end makes it easier for us to be beggars. Even on those terms the Mercy will receive us. Is this not the heart of Mark 7 and John 3 and Luke 15 and 18:9-14 and so many other statements Jesus makes to the religious elite? And 2 Corinthians 4:6 and 1 John 3:9? Update: See others chime in similarly on the three (not two) ways to live here, here, here, here, and here. I interact with Lewis' essay in this book. Covenant Seminary has reworked the Ministry Resources component of their website and now lists recommended messages dealing with cultural, emotional, relational, spiritual, and theological challenges in life. You can still search the whole database if you prefer; dozens of messages have been added in the last few months. Speakers include Bryan Chapell, Zack Eswine, John Piper, Tim Keller, J. I. Packer, and Jerram Barrs. The seminary also offers 21 classes from their M.A.T.S. (Master of Arts, Theological Studies - an MDiv without the languages, preaching, and counseling, intended for lay ministry leaders) totally FREE. This is another recent venture called Covenant Worldwide. Leadership Journal offers a painfully helpful (as a surgeon's scalpel is painfully helpful) word on pastoral ambition. Something has happened in the past thirty or so years that has shifted our pastoral ethic from one of faithfulness to one of productivity and success. I believe this has stirred the fires of ambition. Given the nature of our American culture, this doesn't surprise me. It also doesn't surprise me that the battle with ambition will be a ferocious one, for the tendency toward self-absorption plagues every one of us. I just wonder why this is not a front burner item that is being addressed with greater passion in the popular Christian media. Kevin Cawley alerted me to this article. Happy 303rd birthday, Jonathan. Thank you for living out your resolution to live with all your might, while you do live - for the eternal glory of Jesus and the everlasting help of his people. The JE Blog posts Piper's 1988 Pastor's Conference message in remembrance. Click here to listen to the Desiring God conference this past weekend on engaging culture, "Above All Earthly Pow'rs." The speakers were David Wells, Don Carson, Tim Keller, Mark Driscoll, Voddie Bauchaum, and John Piper. The Q & A's are especially good. Samshua has video clips of the conference and other thoughts as a participant.